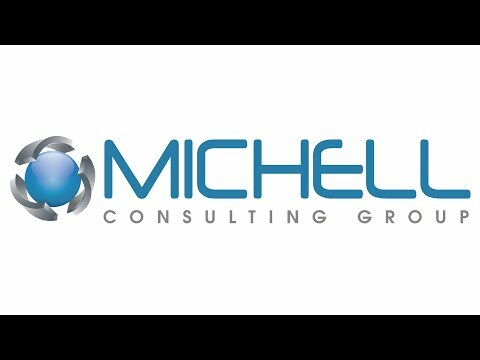 Established in 1991, The Mitchell Consulting Group strives to support Miami area clients with their technology problems so they can get the most value from their systems. Our technicians understand how costly downtime can be to your business, therefore our primary focus is to prevent problems before they arise to ensure business productivity and continuity. Do You Have Trusted Managed IT Services Provider You Can Count On For Your Business In Miami? Mitchell Consulting Group, Inc. is a reliable IT company you can count on to make your technology run smoothly, increase productivity, and contain costs. Let Mitchell become your trusted IT Services advisor. Everyone knows that server and network downtime costs money. Mitchell’s systematic approach to Managed IT Services really does save money. Over the years, Mitchell Consulting Group has learned how to spot and improve IT infrastructure mistakes and problems that lower productivity and create problems for end users. Find out how Mitchell’s unique IT Services plan can save your company money by calling (302) 529-5433.
form, or call (302) 529-5433. A knowledgeable employee will call to discover your Miami companies’ IT Support needs. When your company meets Mitchell’s standards you, too, will enjoy the benefits of a reliable and robust server and network environment. We offer premise-based and cloud IT Support systems that help you improve your IT systems and your bottom line. Mitchell’s IT Support best practices create reliable network and Windows server environments that keep your employees productivity up so they can better server your customers. Mitchell has been servicing clients in Miami for years and ALL of our technicians are full-time employees experienced in every area of networking. When you hire us for ANY project, you expect it to be done right; our work is guaranteed. The increased frequency of cyberattacks on companies has made it almost mandatory for businesses to source for these services, particularly for cybersecurity services..
During business hours, Mitchell clients always get a live person on the phone. Of course, we also respond via email, but it is good to know that when you really need to talk to someone about an urgent technical or IT Support issue, we will be there to talk with you. After hours Mitchell has live network engineers who can respond via our night hotline or live Chat on our site. Mitchell Consulting Group is one of the few Managed IT Services Providers In Miami that has 24 hour IT Support coverage from our Miami based network operations center. Mitchell Uses state-of-the-art tools to keep your networks up and running with great people who are ready to jump on any IT support problem in order to keep your downtime to an absolute minimum. Managing mission-critical IT support systems and applications can strain your Miami business resources and get in the way of executing your business strategy. If you are looking for an easier, and more cost-effective solution to your Technology and Support Needs, our Sentinel Managed Services is for you. Over the last 17 years, we’ve maintained a distinct focus on managing production environments. We are proud of our legacy. In this 24/7 economy, you need to know that your critical managed IT services technology is always on, reassuring you that you will always stay in business. Typical IT approaches are reactive in nature, but are not the right approach when you have the future of your business depending on it. Your IT Infrastructure and core systems are critical to your operation and the best way to maximize uptime is via a proactive approach. 1 – We Follow Up – How often does your current IT Provider tell you an issue has been fixed, only to have it come back a day or two later? At Take Ctrl, we pride ourselves on our consistent follow up. We follow up after every service call to ensure that the issue has been resolved, for good. 2 – We’re Proactive – Have you ever wished that issues with computers could be prevented? If so, then you should give us a call. At Take Ctrl, we regularly reach out to clients, before they reach out to us, when something is broken. Through our proactive monitoring, it’s not uncommon for us to make clients aware of issues before they’ve even made a noticeable impact on their business. 3 – We Provide Leverage – Do you ever feel like life at work was much easier before all this technology? At Take Ctrl, we can show you a better way. We specialize in understanding how you do business, so we can develop and implement technology based systems to allow you to leverage the latest advancements in the world of IT. Mobile devices are crucial assets in the modern commercial set-up. Therefore, it is important to ensure that you have backup solutions for your business from an IT support expert in Miami. In general, mobile devices such as smartphones and tablets are used in companies to communicate with customers, investors and business partners. Therefore, there is extensive and critical information stored in the pertinent devices. Does your business need IT services? Do you need a dedicated IT team that can help your business grow? With all the changes in technology that’s constantly happening, companies can significantly benefit from a reliable IT support firm in Miami. To get a clearer view of these changes and the importance of an outsourced help, here are three growing trends in the tech industry today: Cloud computing has become increasingly popular over the last few years. Crime does pay, and for cybercriminals, they make it a business. It’s no wonder IT support in Miami is in high demand. Businesses of all sizes and industries need protection from security threats, particularly ransomware which has proven to be quite lucrative. Ransomware is popular because it’s a low-risk, high-return endeavor for cybercriminals. They can simply hack devices or networks from afar, take these as virtual hostages, and lock out rightful users. World Password Day is the first Thursday of every May, and your IT support company in Miami has gathered some tips from the event that will help you keep your network and personal information secure. Though passwords are the first layer of defense against hackers and other cyber criminals, a vast majority of internet users and businesspeople fail to understand the importance of creating strong passwords and utilizing the proper password etiquette. There are certain IT security practices that you should always try to follow as a business owner. Ask us, IT support professionals in Miami, about best practices in the information security space and we can rattle off several of them to you. Unless you’re an expert though, it’s just going to be gibberish. But it’s important to understand all this information in detail and know it inside out so that you can adopt it for your company and help secure your network, data, and everything else. Small to medium-sized businesses face challenges their larger competitors don’t. One of the biggest challenges, of course, is the need to accomplish just as much as the big guys but with a smaller budget. One way to accomplish this is with on-site IT support in Miami. What can on-site IT support bring to your company? To run properly, IT systems need routine maintenance. Operating systems and other types of software need updates and patches. In the modern world, businesses of all sizes require a reliable and efficient IT support provider in Miami. A malfunctioning computer or a network interruption isn’t only annoying, but it also leads to lost productivity, high overhead costs, lost profits, and lost customer satisfaction. A reliable and professional IT support provider helps businesses remain competitive while avoiding any losses due to potential IT problems. Working with an IT support partner in Miami has many benefits. One of those is that they can help you defend against cyber attacks and keep your data and network safe. Cyber threats are constantly evolving and it’s difficult for a business owner to keep up on all the new ways that hackers are targeting businesses. When you work with an IT professional, they will keep track of the changing threat landscape and also ensure that your company is protected. If you are thinking about upgrading your security services from your IT support firm in Miami, you should consider reinforcing your Bluetooth-enabled devices. Bluetooth technology is valuable in commercial IT operations. This form of connectivity is standardized and available on most devices, including tablets, smartphones, and laptops. It is in inexpensive because there are no data charges attached to sending files over Bluetooth. IT support in Miami is beginning to characterize the majority of operations among small to medium-sized businesses (SMBs). There are many reasons for this, a few which can be quickly listed below: It’s expensive to run any business. A small operation pulling in $250k annually may pay $12k in office/space leasing, $30k in production, $6k in utilities, $15k in advertising, $60k in wages (perhaps between only three employees), $20k in incidentals, $20k in technology, and $50k in taxes. The days of cyber attackers solely gunning for the massive international corporations and other large organizations are long gone. Nowadays, every type of institution is at risk, whether it’s a small business owned by a sole entrepreneur, a regional business, or a monolithic corporation with locations around the world. It has never been more important to secure your network. IT support in Miami can help in your quest to preserve your data’s integrity. Small businesses are just as likely to face the risk of cyberattack compared to larger companies. The general thought process that so many small businesses owners have is that they’re not likely targets. They think they’re safe from the cyber attackers out there. They feel less visible and less valuable. However, nearly 50% of cyber-attackers go after small businesses. Your IT support provider in Miami should be alerting you about this and working with you to prepare. The use of mobile devices continues to expand and meet a variety of needs in today’s society. As you know, a mobile phone can host many items, which range from personal information, financial data, pictures, and contact information. Although cell phones are extremely useful, they can become vulnerable to a variety of threats. You need an IT services provider in Miami that offers mobile device authentication. Celebrating and National Cybersecurity Awareness Month is a fun way for your business and managed IT services team in Miami to spread knowledge about data protection. Not only is it a reminder to all staff members to be on the lookout for suspicious emails, but it also opens up a forum for new ideas on how to block hackers from haunting your network. Computer bugs are among the most chilling creatures you can find in a network environment. It’s 6:00 PM on a Saturday and your servers are down. Your e-commerce platform isn’t loading correctly, and would-be customers cannot make purchases. Unfortunately, your managed services provider (MSP) closed at end of day on Friday and won’t be able to resolve the issue until 9:00 AM on Monday, leaving you with frustrated customers and decreased sales. This unfortunate scenario is avoidable with an MSP that offers 24/7 managed IT services in Miami. According to an IBM report on cybercrimes, cyberattacks cost at least $10,000 in the lifetime of most businesses, hence the need for advanced cybersecurity solutions from a provider of managed IT services in Miami. Thus, defending against cyber threats is necessary as new vectors of cyberattacks surface year to year. It is also critical to assess factors that may put your business assets at risk of such attacks, especially theft of customer data and intellectual property. Distribution companies are especially likely to enjoy significant value from IT services. Those who work in distribution are tasked with transporting goods and services with the utmost efficiency. Speed and accuracy is the name of the game. Below, managed IT services experts in Miami explain why IT is so important for distribution businesses: When properly used, technology enhances visibility, improves communication and greases the wheels of business.